Claims that the Sunflower Movement will hurt Taiwan’s ability to join regional trade pacts are misguided. In fact, states do often renegotiate treaties and usually there is a mechanism for such a procedure embedded in the treaty. The consequences are rarely as grave as is now being claimed. Ireland did not became an international outcast when it failed to approve the Lisbon treaty in a 2008 referendum and the Nice treaty in a 2001 referendum. In both cases, negotiations were opened again, changes were made and both treaties eventually entered into force. In addition, the argument can be made that other democracies do understand the complexity of the ratification process, especially when it comes to free trade (or free trade-like) agreements. It is also likely that other governments would recognize that agreements with China are different than Taiwan’s dealings with other governments. The United States would hardly stop promoting Taiwan’s Trans-Pacific Partnership membership just because Taipei failed to ratify the CSSTA with China, nor would the failure to ratify the treaty deter Japan from entering into negotiations with Taiwan. In other words, Taiwan’s deals with China are not a reliable benchmark for measuring Taiwan’s reputation. It is hard to think that Taiwan’s partners are not aware of this. Naturally, Beijing would hardly be pleased if CSSTA were ratified with some major changes. Likewise, it is certainly not pleased by the emergence of a civic movement that crosses party lines and aspires to hold the government accountable. 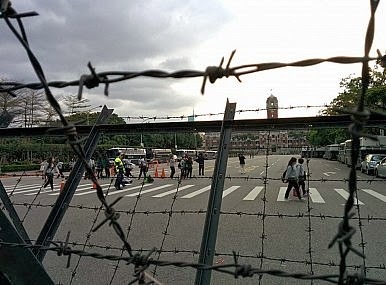 This is especially true because Taiwan’s movement appears to be seen as a model in the increasingly restive Hong Kong Special Administrative Region, which Beijing is already struggling to control. If (and only if) the Sunflower Movement succeeds in pushing CSSTA back to the negotiation table, Beijing will face a certain dilemma: if it appears to retaliate, it will only confirm that protesters were right to suspect sinister intentions. Moreover, any future arrangement between Taipei and Beijing will be under very close public scrutiny. Maybe it is, after all, a better option for Ma (and Beijing) to appease public opposition and return to the negotiation table.